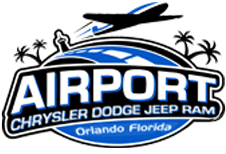 Airport CDJR has an impressive selection of brand new Dodge models to explore, including new Dodge Durango SUVs for sale, so don't miss your chance to buy or lease one of these versatile rides today! Our team of sales professionals will happily review all the standard systems that come on the Durango trim level that has caught your attention, as well as the factory warranty and any available add-on features you'd like to explore. Browse our 2019 Durango models right here on our website, and be sure to send over a completed financing application so that you can take your sleek new ride home today! Airport CDJR near Winter Park, FL looks forward to welcoming you soon for that test drive. The 2019 Dodge Durango lets you cruise confidently, thanks to its smooth ride and extensive active and passive safety features. The standard Electronic Stability Control monitors both the motion of the vehicle as well as your steering input to help maintain directional control over your Durango, even while traversing uneven terrain. The available rain-sensing windshield wipers provide a clear line of vision while the Blind Spot Monitoring feature makes you aware of any unsafe lane changes. For added safety and control, each wheel can brake independently thanks to the four-wheel anti-lock brake system (ABS) of the Durango. From backup assistance via a rearview camera to the Adaptive Cruise Control with Stop technology and Uconnect® Roadside Assistance, you can rest assured your safety needs are well provided for in the 2019 Durango. Dodge fitted its 295-hp, 3.6-liter Pentastar® engine as the standard powertrain on 2019 Durango models and paired it with a responsive, TorqueFlite® eight-speed automatic transmission. Drivers looking to step up the level of performance and capability in the new Durango can opt for the available 5.7-liter HEMI® V8 engine. With 360 hp and 390 pound-feet of torque on tap, this HEMI V8-equipped Durango can tow up to 7,400 pounds! For unprecedented performance and bold styling in a 7-passenger SUV, turn to the Durango SRT® All-Wheel-Drive model that comes fitted with a 6.4L HEMI® V8 engine, churning out a monstrous 475 horsepower and 470 pound-feet of torque. Depending on your choice of engine in your Durango, there is two available all-wheel drive (AWD) systems offered that help you lay down the power to all four wheels. The 2019 Dodge Durango satisfies all driving wants, and thanks to the memory system that saves personalized driver seat, power tilt and telescoping steering wheel column settings, you can comfortably enjoy the drive! Utilize the available Uconnect 4C NAV system to enjoy the conveniences of a large, 8.4-inch touchscreen display, Android Auto™ integration, Apple CarPlay® support, Bluetooth® Streaming Audio and integrated Voice Command. This high-powered infotainment system also delivers turn-by-turn navigation so that you always know the best route to your next destination. Comfort and entertainment aren't only reserved for you and your front seat passenger, as your backseat passengers can enjoy an available dual-screen Blu-ray™ Entertainment System in your 2019 Durango. Explore the available Wi-Fi hotspot feature, satellite radio and more when you tour and test drive a new Dodge Durango in Orlando, Florida. 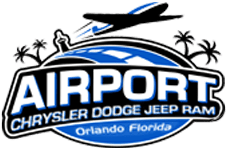 Airport CDJR is eager to welcome you over to our Orlando, Florida dealership near Kissimmee so that you can get a first-hand look at all that the 2019 Dodge Durango has to offer. Visit our new and used Dodge dealership today or start to explore our competitively priced inventory online now!